Whether you’re planning your own graduation party or you’re a family member planning a graduation party for your high school or college grad this is a time of great celebration! It’s an important right of passage, exciting and it can be expensive! 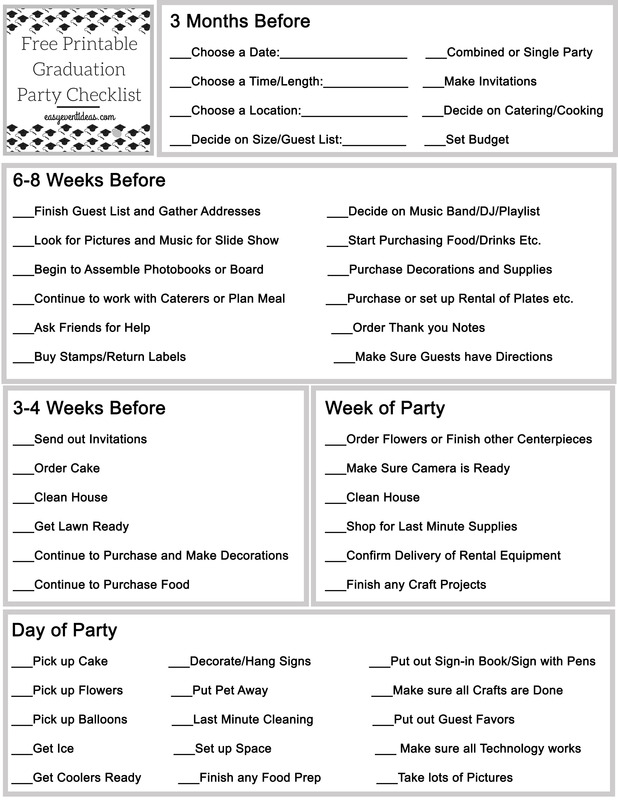 To make your party planning experience a little bit easier I’ve created a simple checklist for you to print out use to help you through the process. 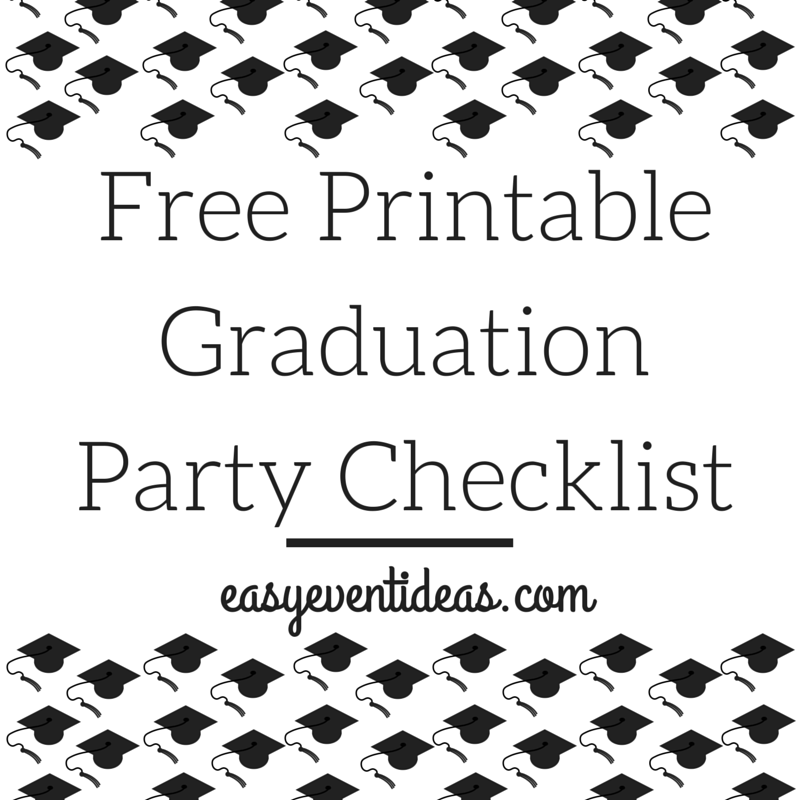 Drag and drop the image on the right onto your desktop to download the graduation party planning checklist. When you begin planning your graduation party there is one big thing to figure out, is the party just for you/your child or will you be having a joint party with other families. 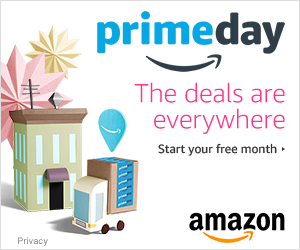 I know in my experience many friends and family members have had joint graduation parties with friends to help save money and time for all of the graduates who feel the need to attend all of their friends parties. And when all of those party fall right after graduation it makes being at their own party rather tough! So figure out are you going solo or are you making it a team effort? Next it’s time to set the budget. If you’re working with other families this will be an interesting and possibly awkward conversation to have about how much each family should contribute to the afar. Graduation parties tend to be a more informal affair at someones home, the major party costs come down to three main factors: Location, Food, and Entertainment. Only you can determine how much you want to spend, but if you are planning the party as a group it might be a good idea for each family to come to the table either with a set amount they might be willing to spend or some sample ideas and costs for the party. You have three basic choices when it comes down to location. And it will really be determined based on how many guests you are planning having and your budget. Rent a Space- If you’re having a lot of people this is a great choice, and a lot of the planning process is handled for you by the in house vendors. You don’t need to worry about renting tables and chairs or plates and cutlery. You don’t need to worry about having big enough bathrooms or space for activities. Caterer is probably in house or they can provide you with a list of approved caterers or possibly allow you to bring in your own food. Great choice for large parties but most likely the most expensive choice. Restaurant Reservations- This is the classic graduation from University choice. Those graduation affairs tend to be a smaller gathering with just family members. This is easy to plan, there isn’t a lot of coordination, the restaurant does most of the work, and you can concentrate on celebrating the graduate. If you are having a larger party look for a restaurant that has a private room available for booking. They can usually accommodate 20-40 people and allow you to bring in your own decorations if you’d like. Host at Home– I would wager a guess that this is the most common and probably least expensive graduation party choice. You can host inside or out depending on weather and size of the party. Guests are able to trickle in and out which is helpful for the graduates friends who have 5 other parties to attend that same day. You can have it catered or cook yourself. You just may need to rent or borrow chairs, tables, linens, maybe even a tent. But you can chose how fancy you want to make the affair. 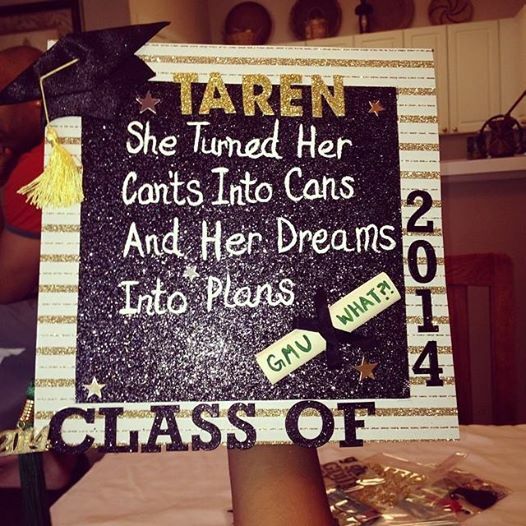 You can go BBQ and paper plates and have a happy graduate! It all depends on what is best for your family and graduate. To cook or not to cook that is the question. On the one had cooking yourself and buying prepared food is cheaper but on the other hand you don’t want to be tied to your kitchen during the whole party. On the other hand catering is expensive but you get what you pay for, lots of help! If you are cooking yourself see if you can enlist friends and family to help you out! More than likely they will be so happy to help and want to make sure you’re enjoying your party or at least giving you more time to spend on other duties like decorating. This is another aspect of party planning that comes down to budget. What can you afford and location? I’ve been to graduation parties that have bands or DJs and they are just as good as the ones that had the speaker in the corner playing the graduates favorite playlist. Entertainment shouldn’t just come down to music though, make sure you have other activities for your guests to partake in. Lawn games are always a fun addition for an outside party, and including personal touches and games like graduation mad libs is something everyone will remember. If you’re having the party before graduation you can set up a station where all of the graduates can decorate their graduation caps and if the party is for college graduates you can even host a beer tasting at the graduation party. Do you want to have a slide show of pictures of the graduate growing up playing in the corner? 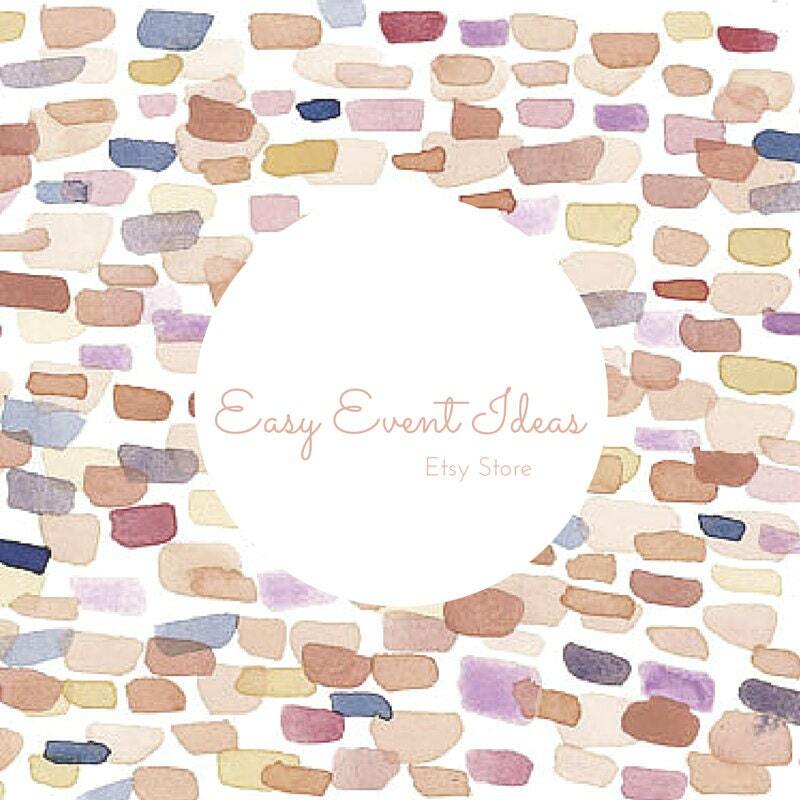 You’ve begun planning the party and now it’s time to get the word out to your guest list. You have a couple of options for inviting guests, you could go formal written invitation with response card, envelope etc or you could go with the e-vite. It all really comes down to how formal your affair is going to be. Agenda for the party: will there be speeches, games, dancing, what time the cake will come out etc. How are you decorating for the party? Need some ideas? Balloons and traditional graduation decorations are always a fun addition. Parking: Where wil all of your guests park if you are hosting the party in house? Sign in boards or book: Making a special sign, banner, or book for guests to sign and give a loving message to the graduate that they can take with them on their next journey is always a nice touch but make sure you do it early before it’s to late! Don’t forget the pens! Food: Can you begin cooking early? Order your cake early considering the bakery will probably be slammed with all of the other graduation parties going on at the same time. You want to make sure yours comes out great! Signage: Do you need to put something at the end of the road to let people know how to get to the party? Lighting: If your party is inside or in the evening make sure your location is well lit or do some fun lighting by getting out those christmas lights and hanging them up. Gift Table: Don’t forget to set up a gift table and a basket for all of those graduation cards filled with money for the graduate! Tables: Make sure you have all of your linen’s napkins, centerpieces, cutlery plates etc ready to go! Favors: This isn’t a necessity but you can always give your guests a little take away to remember the graduate as they go on their way!